I am taking it old school and going for the Rocky statue. The actor is Sylvester Stallone. It is the epitome of journey. This statue stands outside the Art Museum of Philadelphia, right next to those iconic steps that are pictured in the movie. Can you believe this movie was released in 1976? It won 3 Oscars out of 10 nominations that year: Best Picture, Best Director, Best Film Editing. Never seen the movie? A small start boxer is offered once in a lifetime chance to box. Expected to lose, he puts in the extra effort and trains as the underdog. You can read more here or add it on Netflix. To get the latest posts: follow my blog, follow me on Twitter account, like my page on Facebook, sign up via emails, delivered directly to your box. See my About Me for blog updates. Feel free to share. I am Nadeen Chrystal Davis, an aspiring fiction author. I am in the process of writing of novel that I hope to publish by next summer. In the meantime, I will be sharing some short stories. In this blog, I will talk about the writing process, about the ups and downs, about anything that catches my attention throughout my day. Feel free to comment: I want to hear from you. Read more about me on my blog: nadeendavisblog.wordpress.com... Hello and welcome! 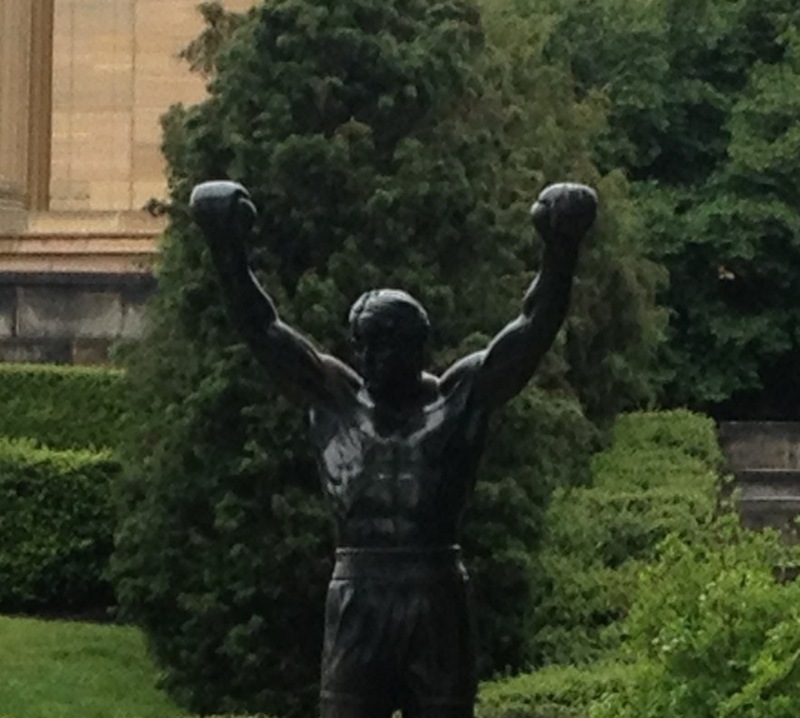 This entry was posted in Daily posts, Philadelphia, Prompts, Travel & Adventures and tagged journey, Movie, Postaday, Rocky. Bookmark the permalink. That class is on crack: we got extra classes added (like friday) and we have online lectures due to the holidays in the summer! I have a test every other week. I did not expect this!!! I’m gonna do some school work, hope to post one story tonight.